Manufacturer of a wide range of products which include galvanized steel tubes, threaded eng pipes and galvanized steel pipes. We are the leading manufacturer of Galvanized Steel Tubes to our valuable customer and our product is made of good quality. 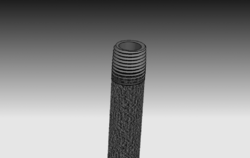 We manufacture good quality Threaded Eng Pipes for our valuable customers. These pipe fittings are developed from highest grade raw materials. They find their application in different manufacturing industries. With the inclusion of contemporary machines and advanced tools in all our processes, we are able to offer Galvanized Steel Pipes. Manufactured using premium quality raw material, these are appreciated for their accurate dimension, corrosion resistance, high strength and durable life. 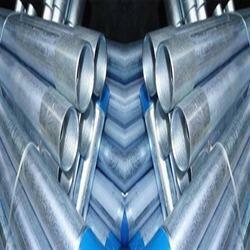 The offered steel pipe is offered in various sizes & thickness as per with customer’s needs. 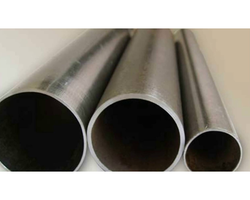 Customers can easily avail this steel pipe from us at nominal rates. Also available SEAMLESS PIPES as per ASTM A 53 GR.B (Hot Dip Galvanized) against specific order for SHIP BUILDING INDUSTRY.